This phone is also known as MT15i/Halon. Mostly the Sony Erricson phones have been readily accepted in the markets and there have been regular users to this phone. However it has been noticed that all most all of the previous models of Sony had certain disadvantages to it , and also the buyer felt he has not got full value for his money. This vivaz 2 is a successor to the original Vivaz. The main drawback in the previous phone was the OS. With the all new Vivaz 2 that has been eliminated from the root as Sony has now switched to the Android, letting go of the Symbian OS. So that, added with some new software updates gives us this new , well balanced and skillfull device from Ericsson. The Vivaz2 comes with Android 2.3 GingerBread. We are mostly the first ones to bring this to you, as this phone is not yet announced officially and therefore we may not be able to tell you “how much” would this improved phone from Sony would cost you. What is known is that the new Vivaz is bigger, thicker and heavier which happens to be exactly the opposite of what it was with the XPERIA X10 and the XPERIA Arc. Basically the screen is bigger and has a higher resolution compared to the previous ones. 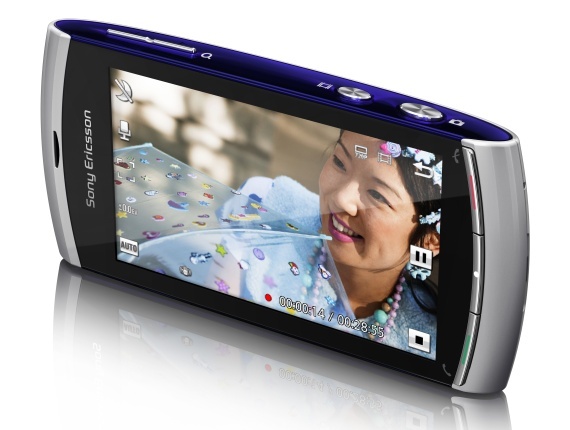 It has an 8 Megapixel EXMOR camera equipped with LED flash. It can record amazing HD videos for you. The processor will be from Qualcomm of 1 GHz. It will be an MSM7630 processor with Adreno 205 graphics. Seems its display will look exactly like the Xperia Arc and will have a resolution of 854 * 480 resoulution. It will have a 15 MHz battery and 512 MB of RAM. Since Gingerbread is capable of storing applications on the memory card this available memory will be left for other kind of data and is more than enough for almost every usage scenario. So speed or storage is not going to be an issue with this new device from Erricson. It has an amazing 8 MP sensor camera. It has touch to focus and face detection supported both in hardware and software making it better than any other camera phone. It has a music player with an addition of Equalizer, which is again something not easily found in other android devices. With all the major changes in every department, this phone should surely stay ahead of its competition for long. 0 Respones to "SONY ERRICSON VIVAZ2 (MT15i/Halon)"